I’ve been seeing essie’s new snakeskin magnetics repstyle line at CVS and Target for a while now and I finally bought a bottle to try. 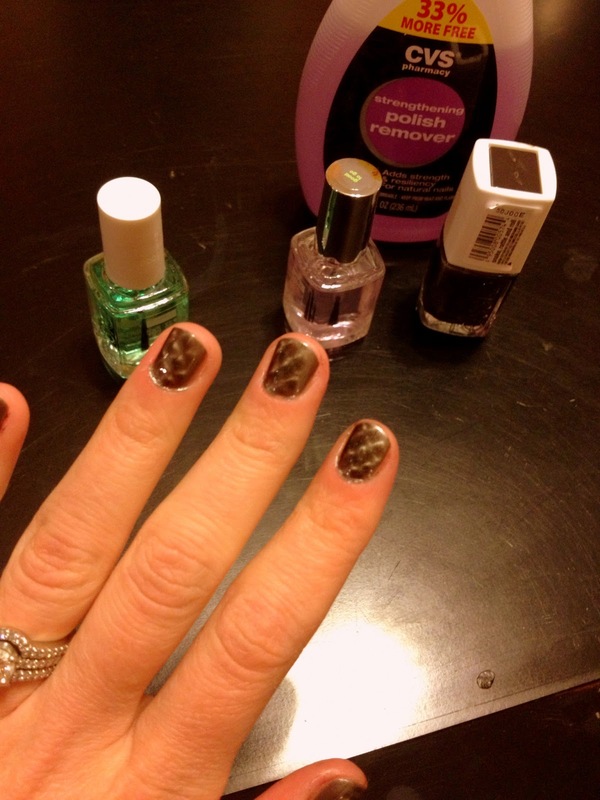 I was very skeptical if it would work or not – you hold the magnetic cover over your nails and it instantly creates this snakeskin pattern – how?! 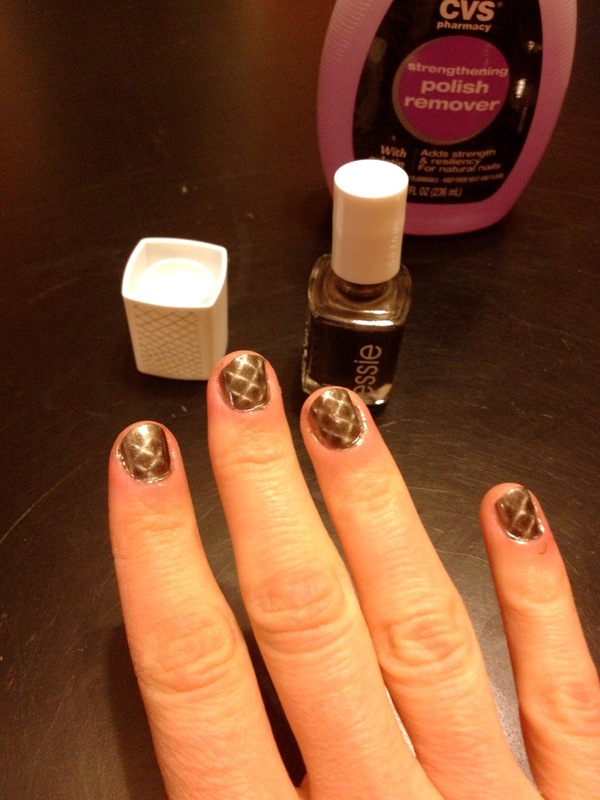 I know patterned nails are big right now and this would be a much easier and less timely way to have interesting nails. Paint your usual base coat followed by one coat of the repstyle polish. Paint the second coat of color one finger at a time. 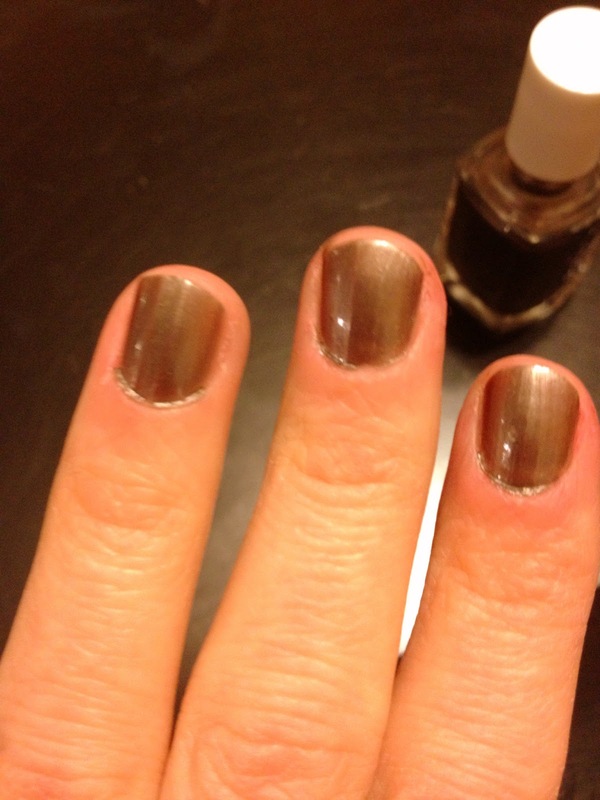 Immediately after you paint a finger, hold the magnetic side of the cap as close to the nail as possible for 5 seconds. Last, paint with your usual top coat. 2. You should also sort of move it around the curve of your nail, otherwise just the top of your nail will get the pattern. I did my left hand first and that’s why my right hand came out much better. 3. Hold for 10 seconds (not their recommended 5). 4. Don’t paint with too much polish or else the pattern won’t appear. The more polish you use, the less clear the pattern is.